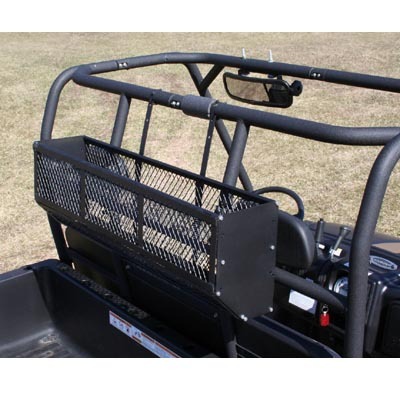 Great for farm/ranch, camping, hunting, trail riding and more. Keep your gear up and out of the way and add additional cargo space. 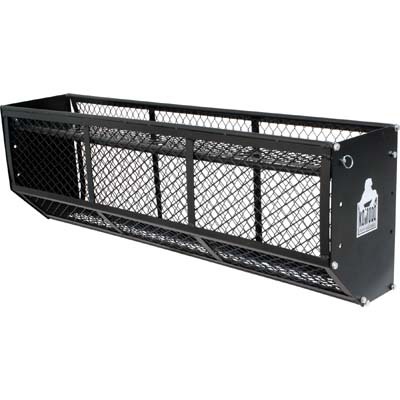 Great for keeping tools and other small hunting and utility items in arms reach. 3 position adjustable shelf allows you to organize your gear above and below the shelf to fit your needs. 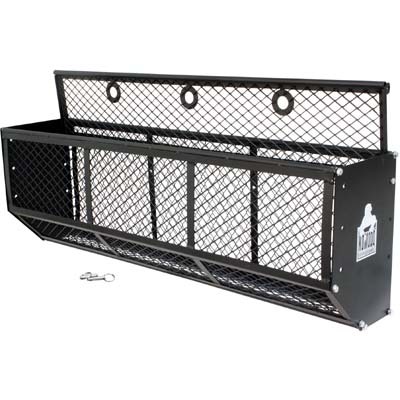 Tapered basket allows for more clearance with tilting UTV cargo bed. Heavy duty powder coated steel construction. Universal design to fit most UTVs. Measures 36(OR 54") x 8 x 12 overall. Copyright KOMODO ATV & UTV ACCESSORIES. All Rights Reserved. Material and photos on this site are the copyrighted property of Komodo ATV/UTV Acc. and may not be used without the prior written permission of Komodo ATV/UTV Acc.